Every year we raise thousands and thousands of pounds from fundraisers just like you. 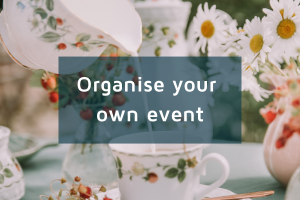 Individuals get together with their friends and family to organise events: challenging, pleasurable, small and big to raise money for and awareness of EducAid. 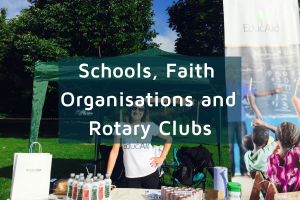 EducAid organises a number of events throughout the year to get our community together and involved. 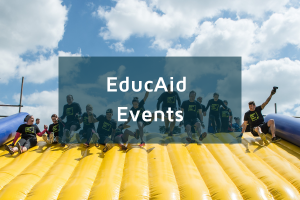 This is not the only way to do it though, there are loads of things you can do to raise money and awareness for EducAid. Click on one of the images below to find out more. We’ve had some pretty incredible fundraisers over the past few years. 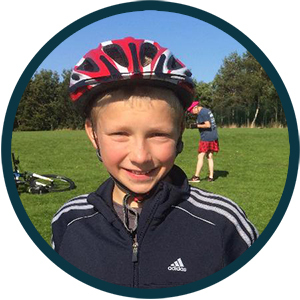 We thought that we would share some of their stories with you to inspire your own fundraising efforts! Ewan is the Head of 6th Form and of Glenesk House at King’s College School, Wimbledon. Over the past few years Ewan has run no less than three MADD Midnight Marathons with other members of the KCS staf. In total he has raised a whopping £8,035.92 without Gift Aid. 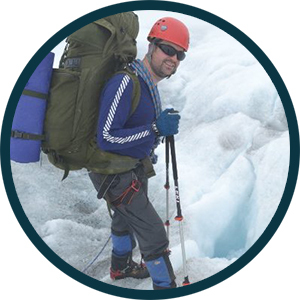 He’s done an amazing job – we’ll make sure we post his next fundraising adventure so you can follow Ewan’s progress and support him all the way. Lucy is one of our highest ever individual fundraisers. 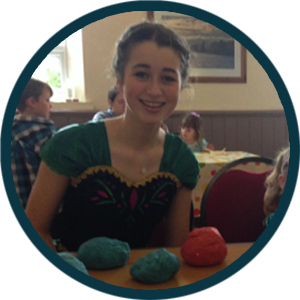 Having been made Mellor’s Rose Queen, Lucy embarked on a year of fundraising events in her local area which included themed nights, discos, bake sales and much more. After all of that working – getting friends and family involved – Lucy managed to raise £7,932.79. What an effort – she really is a Rose Queen! Seb and Konrad took part in the EducAid bike ride. Not only did they cycle the gruelling distance, but they managed to raise £1,006.91 while they did it. Big thank you to Seb, Konrad and Aniela for organising it all! 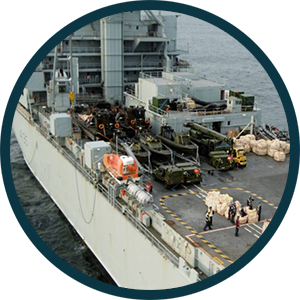 The RFA Argus was posted just outside of Freetown during the Ebola epidemic. During one of their regular reccys they came across Miriam, doing her thing, and she invited them up to Maronka. Around Christmas 2014 4 members of the Argus crew arrived dressed as in a Merlin MkII Helicopter dressed as Santa Claus and his elves, along with arms full of presents and gifts for the students. It was an amazing experience for all involved. Not only that, they clubbed together and raised £8,931.81 – amazing effort! 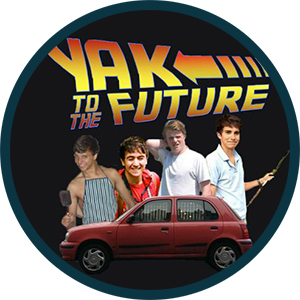 This group of intrepid – if not slightly barmy – adventurers set off across the desert on the Mongol rally. We’d love to hear the stories, but then maybe it’s better that we don’t – who knows!? Anyway, they managed to raise £4,234.10 for their trip – top effort, fellas!